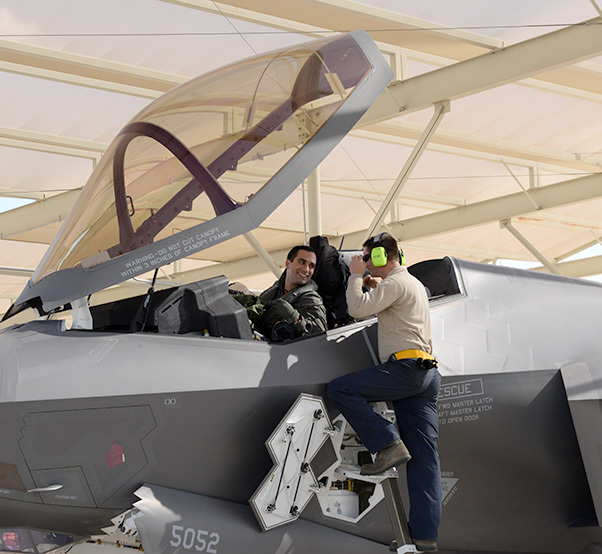 An Italian F-35 Lightning II pilot is met by a 61st Aircraft Maintenance Unit Airman Nov. 5, 2015, at Luke Air Force Base, Ariz., after the pilot flew the first Italian F-35 training mission. The flights were also another significant step forward in the F-35 program as they showcased the full partnership aspect of F-35 operations at Luke AFB. One Italian flew his mission in an Australian F-35 with an Air Force Reserve ground instructor on the headset. In addition, the maintenance team was composed of Lockheed Martin contractors and an Australian maintenance liaison officer. Two U.S. instructor pilots from the 61st Fighter Squadron flew alongside the Italians, guiding them through their first flights. 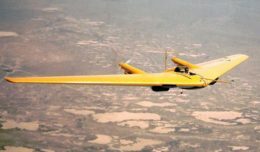 The international partnerships were on further display as two U.S. student pilots took their first flights as well, one guided by a U.S. instructor pilot and the other by an Australian. The pilots began the academic training phase Sept. 21, which involved approximately 90 days of classroom and simulator instruction under the supervision of the 56th Training Squadron before the pilots could step into the jet. 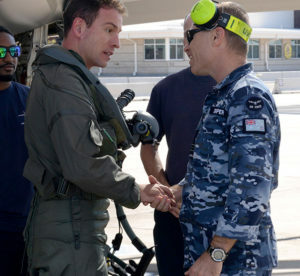 An Italian F-35 Lightning II pilot shakes the hand of Squadron Leader Nathan Draper, an Australian participant maintenance liaison officer, Nov. 5, 2015, at Luke Air Force Base, Ariz., after flying the first Italian F-35 training mission. When the Italian pilots return home, they will be equipped to help develop the training programs of their own air forces and will help pioneer the next generation of global F-35 pilots.